Watch me Test the Amazing Jet Surfboard Under Limited Training Time! Watch Me Jetsurf in the Beautiful Waters of Portas do Almourão, Portugal! Touring Algarve Paradise Beach: One of the greatest beaches in the world! The Amazing History Of Motorized Surfboard in 5 minutes: How did it all begin? Surf Snowdonia’s Artificial Wavegarden: Honest Review! Advanced Tips for Surf Snowdonia Wave Riders! Get a Complete Review & Watch me go “SUPERMAN” as I test the Amazing Fly Board! A New Artificial Wavepool Project is coming to Australia! Artificial Waves, Surf Parks and Surf Pools: The best stuff out there! Jetfoiler’s Electric Hydrofoil: The New CRAZY way to SURF! MotoSurf WorldCup is coming to Singapore & Southeast Asia! Race over lakes and rivers with Waterwolf’s MXP-3 Electric Surfboard!! Scotland’s Amazing Wave Garden Project! Welcome to Jet Surfing Nation: Make Your Waves. I am so excited as I finally got OneWheel+ XR. Big thanks to Wayne from JetboardLimited for delivering it so fast just in 3 days! Disclaimer – I am NOT a fan of electric skateboards or any skateboards in general. The vibration those small wheels gives to my legs is unbearable and no fun for me at all. I tried it once and I hated it. I still have my old electric skateboard but I never use it, even on the asphalt the vibration is a pain. Probably they are made for skate-parks with super smooth surface but I got none and I’m too old for this anyways. When I first heard of OneWheel i was pretty sceptical, it looked like it would be too hard to learn. However when I learned that it is self-balancing board (like Segway or Hoverboards) I decided to give it a try and it did not disappoint me! Learning curve – very easy. Consider myself a skateboard newbie, it took me less than 5 minutes to learn it just by watching one how-to utube video. The board feels like your second nature and uses the mind control to navigate. I could not believe it would be that easy. I will make a video with my tips how to learn it faster. a) Use a big open space, a parking lot or better smooth wet sandy beach where you can fall without hurting yourself. b) Point with your finger where you want to go and look that direction all the time, DO NOT look down! c) Commit some speed. Like with a bicycle going too slow is not helping you. Put some gasss! d) Order extra things: Cover for the power plug port and power button, side handle and onewheel kush pads! High quality in everything – from materials to the app. Intelligent board notifies you with pushback of the low battery levels. 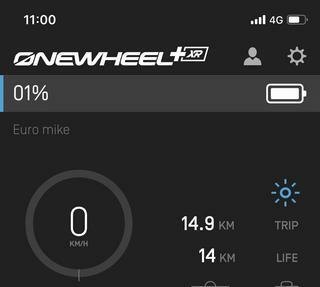 The app will notify as well and let you set different riding profiles. Amazing feeling of flying, incomparable with a regular skateboards. Explore new horizons – go to the beach, go offroad etc! Impossible with an old school skateboards. Self recharging battery when going downhill and breaking – cool feature! 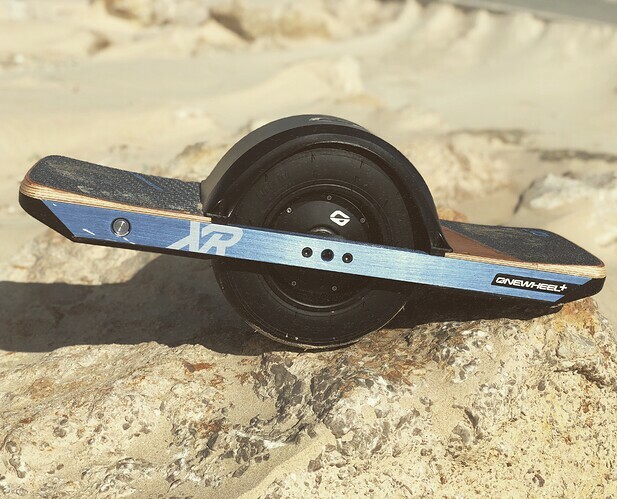 Yeah I know coming of jetboard industry we expect a poor range for jetboards… However we get tired quickly on jetboards while on OneWheel you are just standing there, you are not getting tired and want more of it! Strong wet sandy beach. 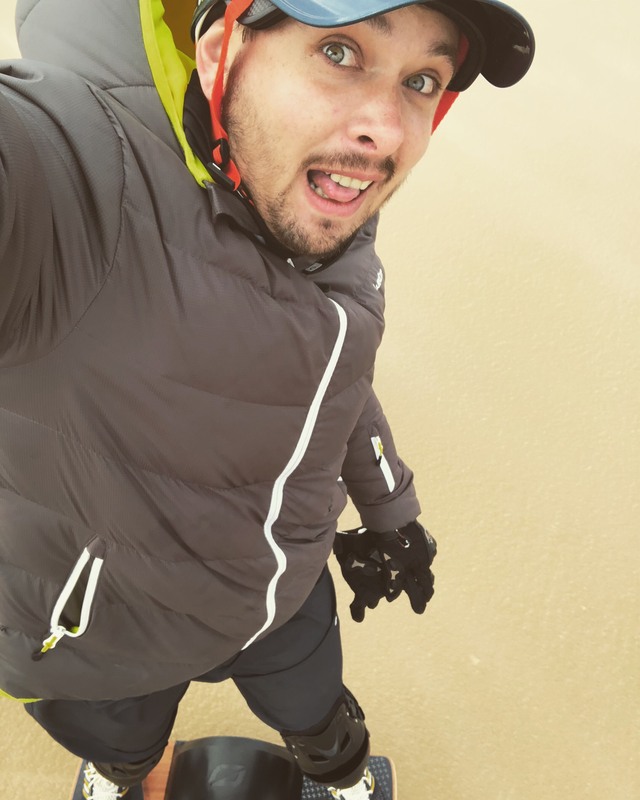 Five star riding experience on the strong wet sandy beach gives you a true feeling of fresh powder snow, really smooth riding close to flying experience! Go to the beach on a low-tide day to get a big shore line with a wet sand. Grass If you get a big area with well groomed grass (aka golf field) you will really enjoy riding it! It’s safe and soft, and a perfect place to learn without need for the gear. Avoid areas with tall grass, it may hide the bumps so get ready to nose dive any moment. Bike lane. A smooth bike lane will give you a quality 4 star experience. You can do carving without worry about the stones etc. Regular Asphalt – OK experience but despite the size of the wheel the vibration is close to annoying (at least for me). This vibration is making your legs tired quickly. Off-road terrain Poor experience. Yes it’s possible and they advertise it hard but riding through stones and bumpy terrain is no fun, you are worried about falling, vibration is killing the legs, no fun at all. (for me) Remember you are one stone away from losing balance and crashing into bushes. Dry sand. – Impossible to ride. Despite the size of the wheel, it just nose-dives and stops instantly if it gets stuck in the dry sand. Slippery or icy surfaces – Avoid. The wheel has no grip to the road and I think you can loose balance and slide. Avoid rainy days or icy surfaces. A five star product that is fun for everyone but needs more range! It’s never enough! It has to have at least 30-40 km range not mere 14! And the PINT model has even less, what’s the point? by no means i am not a skateboarder and i really hate the micro vibrations that come with it and make my legs tired quickly every time i try an electric skateboard. Onewheel completely solved this problem but providing a unique gliding experience close to the one you have during snowboarding on a fresh powder snow day and that is what i love about it the most. you can take it places that no bicycle or a skateboard can go like your favorite beach, riding along the waves and getting a sensation of flying. Another thing i loved about it is that it has no annoying remote controls, which gives you another level of freedom. It was surprisingly easy to learn and even my small daughter learned it during her first session! But most importantly it looks really cool and gets you those envy looks, that is where silly looking Segways and hoverboards were really missing the point. What i did not like about it is a buggy app that always keeps disconnecting and having hard time calculating remaining range. But what i hated the most is the poor range. I dont know what kind of lightweight kids get advertised 19 mile range, but with a regular use and my weight i barely get 10 miles on a better day. It’s so disappointing when you feel you are just getting started and the battery juice is already over. All in all guys Onewheel stands strong as a next generation sport that everyone should try, and i am not surprised it quickly got so big following of raving fans. But what’s most important it is a really family friendly product and kids just love it. 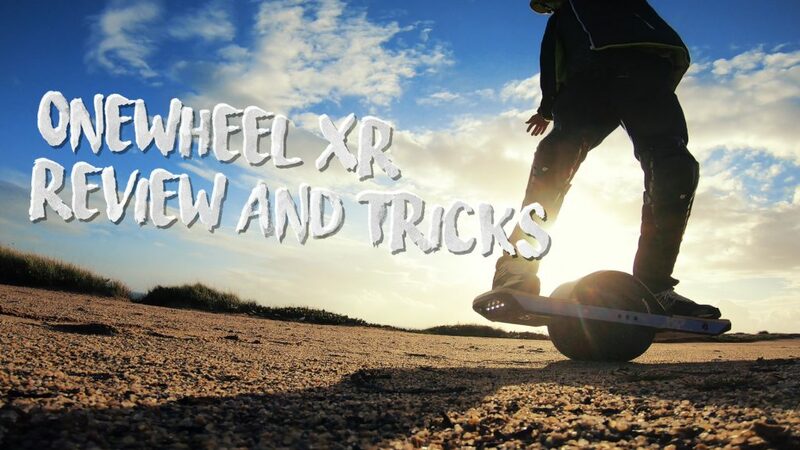 How to learn OneWheel 180 Rotation and Jumpstart? And here are two bonus tricks that are very easy to learn but will make you look like a pro! Jumpstart is a very easy but impressive trick to learn. Jump on the board with both legs but push stronger with the front one so you land on the board horizontally. You will learn it in 5 minutes but it looks really cool! Another trick to learn is called 180 rotation. It will take you 2-3 sessions to learn, pick an area with less friction like soft grass or sandy beach to practice. Start by practicing riding switch, meaning if you are a regular then ride goofy style with your back leg in front. Once you feel comfortable riding switch, start practicing the 180 rotation. The trick is to reduce the friction by slighly jumping up and turning your torso at the same time. Remember your torso turns first and your legs last. After the turn is done push more on the back leg so you dont nose dive. Put your protection gear and practice it until perfection. Looks really cool if you get it right! Enjoy and don’t forget to subscribe, i’ll see you in the next one bye!